Below is part of an e-mail NYRA sent today about tomorrow’s card. The fourth bullet point refers to tomorrow’s card as presenting six GRADED stakes. Innocent mistake, or does no one at NYRA know what a graded stake is? I replied with a correction; let’s see if there’s an e-mail blast acknowledging the mistake. I have previously criticized the New York Bred racing program as providing excessive subsidies to mediocre horses, at the expense of the bettors. This Friday’s New York Showcase Day confirms my view. 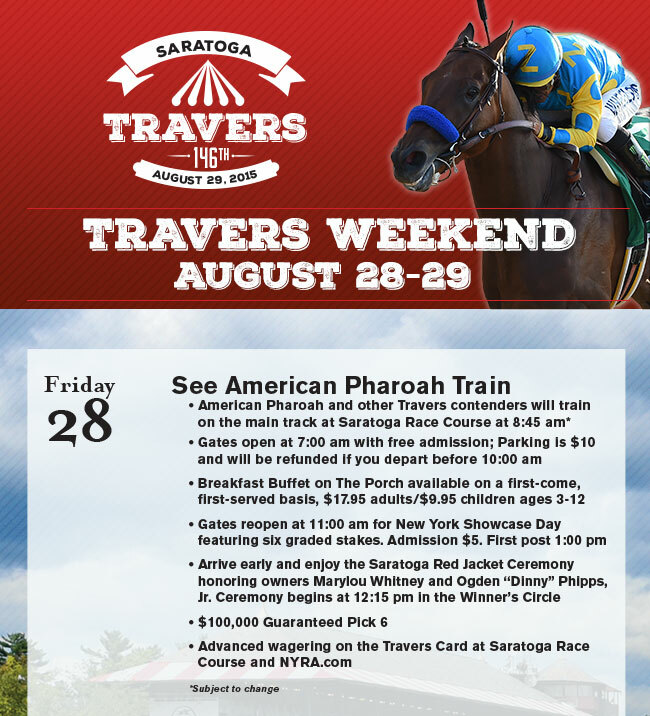 An e-mail from NYRA touts “New York Showcase Day featuring six stakes for New York breds, highlighted by the $250,000 Albany.” Since NYRA apparently sees the Albany as the feature race, let’s look at the horses competing for the $250,000 purse. Of the seven horses entered, only two have faced open competition, and those only managed maiden victories, both at Santa Anita. Force then failed twice at the preliminary allowance level at Santa Anita and Churchill Downs before winning the New York Derby, a state-bred stakes, at Finger Lakes. Battle of Evermore, despite several tries in open and state-bred allowance races and state-bred stakes races, has not won another race. The running lines of the other five entrants show only competition in races restricted to state-breds, and not all of these have won state-bred stakes. It is both a small and a weak field, even in the parallel state-bred universe, and no horse entered, I dare say, would have much of a chance in an unrestricted stakes at anywhere near this purse level. NYRA keeps telling us that Saratoga has the best racing in the world. Maybe it does on certain days, but New York Showcase day is not one of them. You are currently browsing the archives for the NYRA horse racing category.